Ghohar nab sara is seller, supplier and exporter of Iranian Hazelnut. Sale prices are direct from the farmer. This dried fruit contains 60 percents fat. This structure and fat combinations contain benefits that have a great impact on growth and body health. Also contains group B and E vitamins that is an immunizer against Anemia. 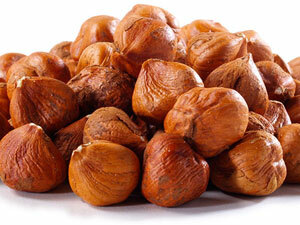 Furthermore Hazelnut contains solutes such as Calcium, Iron, Zinc, and Potassium. Of the most important areas of Iran for producing hazelnut are Ghazvin and Rodsar. The combination of Hazelnut and Cocoa in Chocolate industry, results in a great delicious flavor.